Fun things to complement your wool collection! 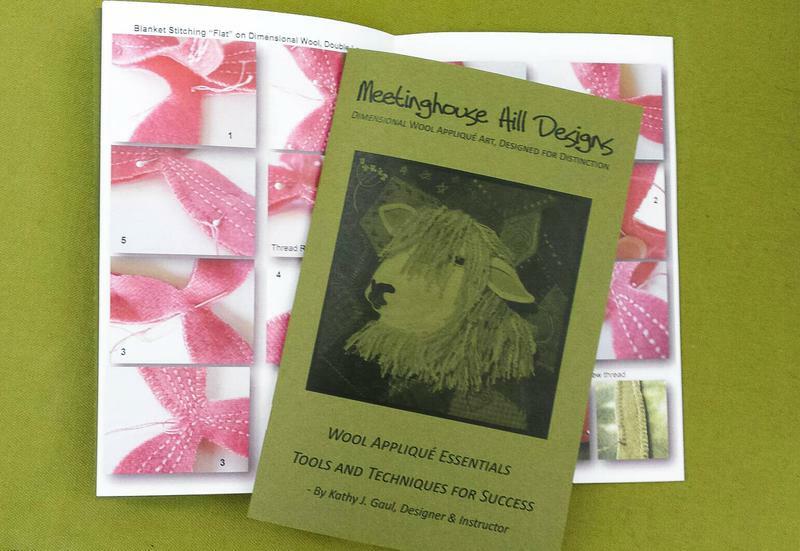 On this page you'll find sewing related and "sheep" related little extras! Please call 719-282-3518 or email HERE with further questions, or visit our "on-line" store by clicking on the tab at the left. Complete kit includes small, round head applique pins, size 24 chenille needles and a white chaco liner marking tool. Miscellaneous Items for Your Stitching Needs! 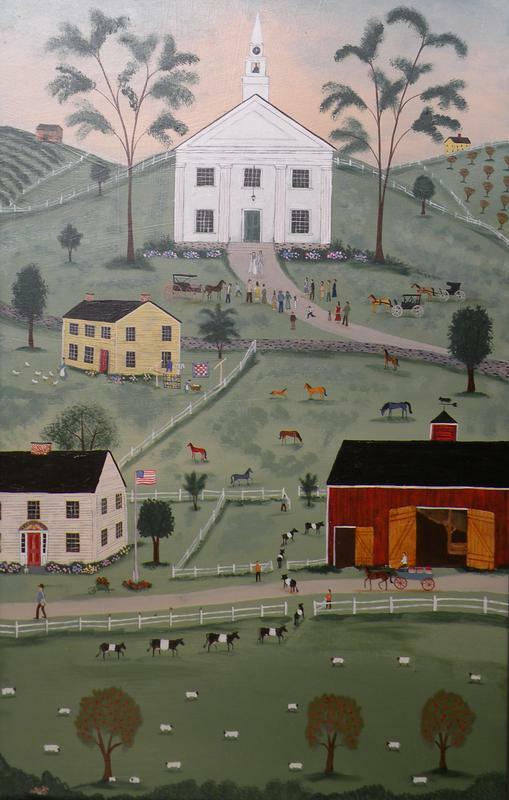 Fat Quarter size approximately 20" x 18"; great fabric for the bird door hangers or the background of Cape Cod Beauties! 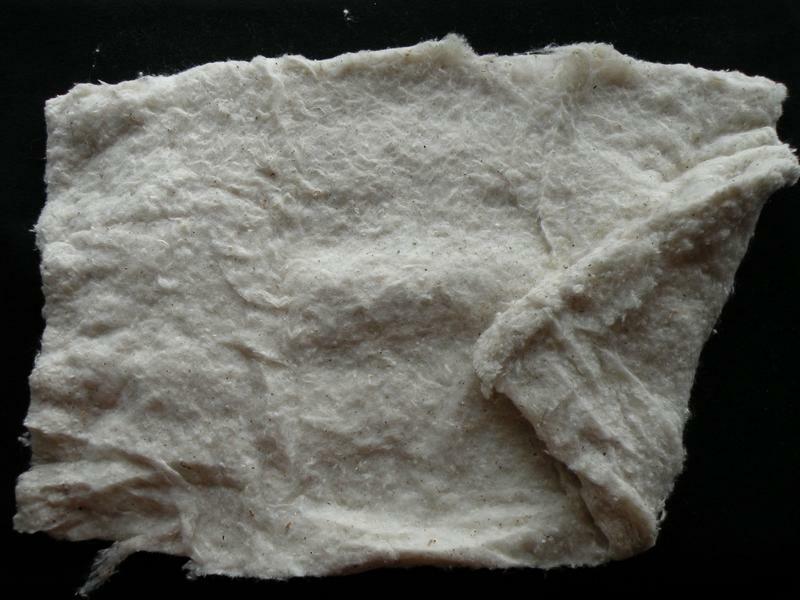 Image shows single layer of fabric, and as it arrives to you rolled up! 2 oz. 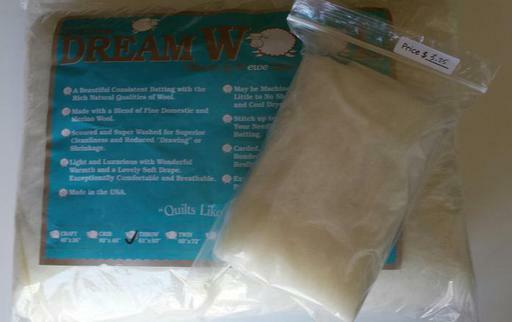 package, sized approximately 19" x 13"; great for stuffing the sheep's face in the Sew Crazy for Ewe pattern, or for stuffing the door hangers or Flake and Wooley! 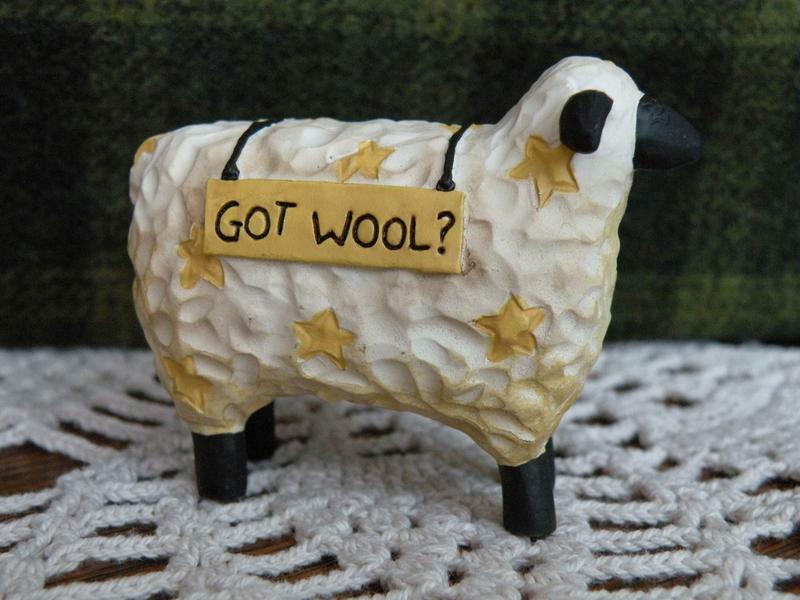 One of a kind collectible sheep, hand-carved by the folk artist who designed our signature company sign! "Wooley, the Sheep" Wool Keeps and Sheep Faced Wool Keeps! 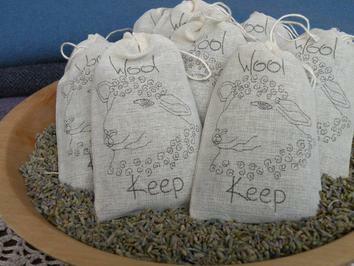 Lavender filled, cotton sachets for keeping your wool smelling good. Hand-drawn portraits of our little sheepy friends, from our "Flake and Wooley" design and "Sew Crazy for Ewe" design, exclusively from Meetinghouse Hill! 24 pages filled with descriptions of the stitching, cutting and finishing techniques for wool applique, plus step-by-step photos of the blanket stitch, and more embroidery stitches drawings! A special emphasis on stitching "dimensional wool applique"! Large, Hand Carved Sheep - $95.00 + shipping. Small, Hand Carved Black Sheep - $75 + shipping. Small, Hand Carved Black-Faced White Sheep - $75 + shipping. SOLD! 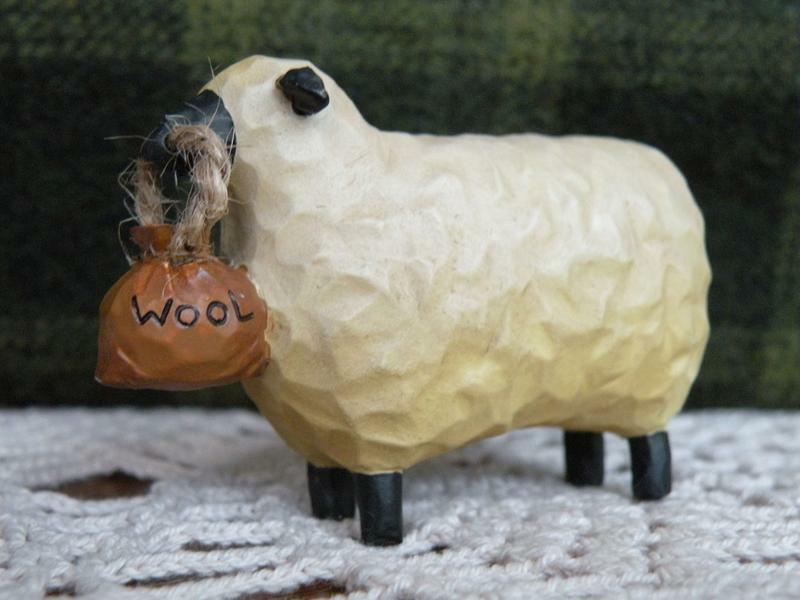 Small, Hand Carved Reposing Sheep - $75 + shipping. Carved Wood "weathervane" sheep - $180 + shipping. 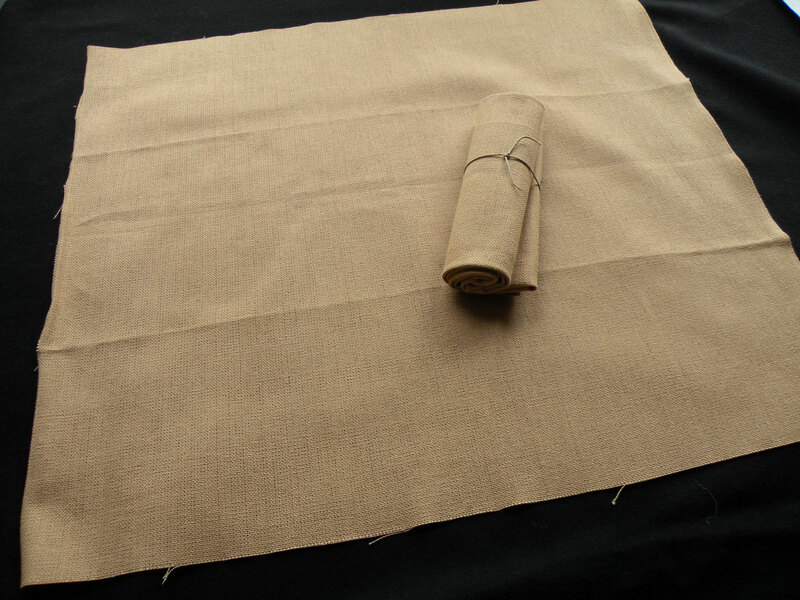 $19.50 for "throw" size 61" x 60"
Did you know that applying a little bit of steam to this wool batting makes the loft increase? It works beautifully to layer beneath wool applique to add dimension to a design!